The architecture of Seattle has many different influences –tradition, available technology and materials, climate, economics and changing aesthetic considerations. You will find almost every style in the Pacific Northwest, from the A-Frame cabin to the Yurt. 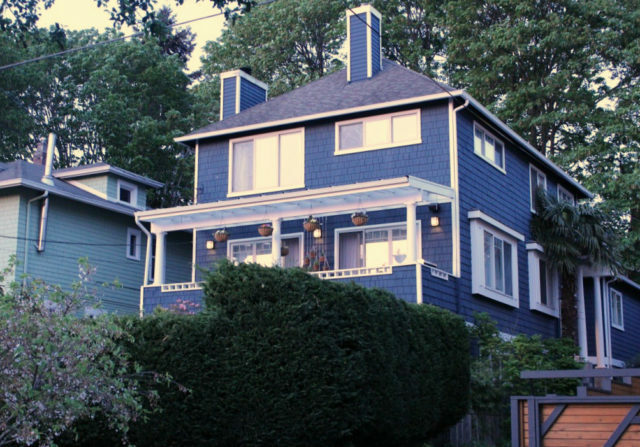 There are lovely houseboats down on Lake Union, beautiful Victorians on Queen Anne and Capitol Hill, and fabulous intact Craftsman Bungalows in Ravenna. Seattle has also seen a small movement to build Modern Homes. We have a good supply of Mid-Century Modern Homes, but we could still use more clean, modern construction. To see a few of these, you can visit Seattle Modern Homes. There are several local Seattle organizations dedicated to supporting, celebrating, describing, criticizing and advocating for modern local architecture. A wonderful resource is Arcade Magazine. As the magazine for the contemporary Northwest design community, the mission of ARCADE is to provide an independent voice for civic discussion, and a platform to explore and promote quality design in the built environment. ARCADE is published by the Northwest Architectural League, a not-for-profit educational organization. Beginning with a historical overview, Classic Houses of Seattle invites anyone interested in preserving Seattle’s architectural treasures, into dozens of homes from all over the city that exemplify the area’s major architectural styles, including Victorian, Classical and Tudor Revivials, Craftsman, Four-Square, Mission and International styles. A special section explains how to research a home’s history in the region. This book is a portrait of the city and a good guide to a chapter in the history of residential architecture in Seattle. Seattle’s earliest settlement coincides with the appearance of architectural plan and pattern books in the American popular press. builders copied exactly or borrowed heavily from these plans. Here are two examples of the typical “Seattle Box”. The one on the left is on Capitol Hill, the one on the right is a great example in the Phinney Ridge neighborhood of Seattle. If you are interested in modern single family houses, then you may be interested in the book Seattle Case Study Homes. The contents includes pages of project plans, perspectives, and descriptive information. Similar to the original Case Study Houses published in Arts and Architecture from 1945-1966, it is a forum for architects and designers to demonstrate their skill in designing superior housing for Seattle. Castanes Architects PS AIA represents over twenty years of Architectural work on a variety of building types in the Northwest region. They are a small office with a client-oriented approach to design style and concepts. Jim Castanes PS AIA is immediately accessible to his clients, to ensure a continuity of communications which is hard to find in larger architectural firms. Ever wondered what’s up in that large pyramid at the top of the Smith Tower? The client went to Jim Castanes with the news that she was going to live in what had once been the caretaker’s suite and the old water tower enclosure at the top of the Smith Tower. Castanes Architects assisted her in deciding how to live in the space and where to site the basic necessities, and she took it from there. She shares the space with a huge Dale Chihuly sculpture, a gift from the artist, which fills a good portion of the large pyramidal volume that is now the living, dining, and kitchen area of this most unique home. A large and growing collection of artwork and collectibles makes this home a personable definition of its sociable and on-the-go inhabitant. And yes, she rode out the February 2001 earthquake in the space with virtually no damage! Look up sometime in the night sky, and you just might see this aerie-dwelling client taking in the night-time view from that little glass bubble high atop the Smith Tower! Unusual Homes. Amazing Architecture. Strange Places. Boom and bust. Progress and preservation. World-class wants and homegrown needs. Many factors have had an effect on life in the Northwest during the past 100 years. Blueprints is a permanent exhibit illustrating the impact of architecture on the Northwest, and its relation to growth and change in the Seattle area. With an impressive collection of historical and contemporary photographs, drawings and artist renderings, original art, models, and building remnants, Blueprints reveals the sometimes complex, always fascinating, and occasionally antagonistic relationships linking designers and their projects with the churning mass of social, economic, political, and cultural forces that surround them. The Blueprints exhibit is located at the SAF offices in the Rainier Square Atrium, 1333 5th Avenue, Third Level. With few exceptions, the exhibit and offices are open year-round, MondayFriday, 8am5pm. Before making a special trip to see the exhibit, please call 206.667.9184 to confirm availability. Click here to read a slide-show essay about the architecture of Seattle. Nationally, there’s a movement afoot, of designing modern homes in harmony with their environment. 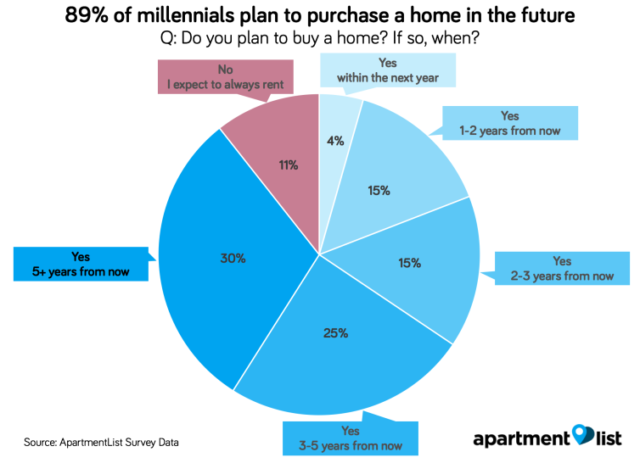 But many homebuyers are frustrated with the lack of modern homes available for sale in the Seattle area. One group attempting to fill this void is The Neighborhood Company, a local builder affiliated with architect Tim Rhodes and his wife, lighting designer Susan Rhodes. They have renovated one and designed a group of 3 other homes on the grounds of the former home and gardens of Lloyd and Mary Anderson, the founder of REI. 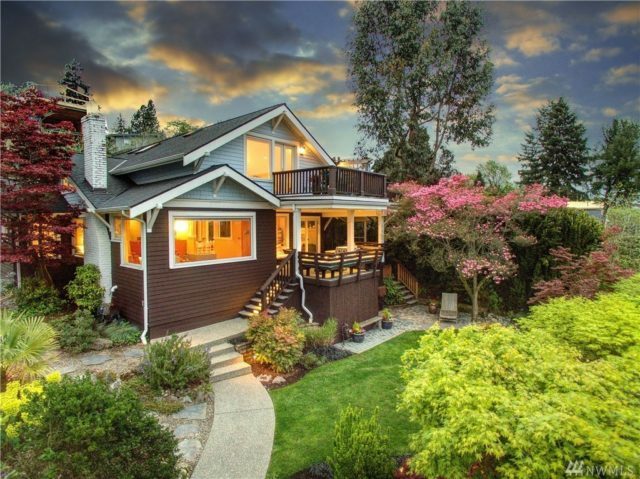 This group of four residences located above Lincoln Park in West Seattle shares a unique western view of Vashon Island and the Olympic Mountains. The extensive renovation of the original house on this site was completed in May, 2003. The size of the new houses, their planning, and the surrounding landscaping and site work are driven by a concern for the best use of the land. The site plan includes three one-car garages which can be converted into workshops, a shared central garden, private terraced gardens, and many shared spaces and amenities. Each new residence focuses social spaces (kitchen, eating, and entry) on the central garden and orients the living spaces to the incredible westward view. The three new residences feature reverse floor plans with living, kitchen, and dining areas incorporated in an open upper floor and bedrooms, bathrooms, and family spaces on the lower level. High, soaring ceilings and large skylights bring light and volume to the upper floors. Icedar battens, galvanized metal and clear Douglas Fir lend the exteriors a simple informality that looks back to the spirit the Andersons brought to the site in the Great Depression. Architect Tim Rhodes was asked to incorporate the soul of the original Anderson farmhouse in the three new residences. Rich interior, materials include traditional trim and woodwork, exposed beams, maple floors, Douglas fir cabinetry and details, and terrazzo counters. Wood and Hardi-panel siding with cedar battens, galvanized metal and clear Douglas Fir lend the exteriors a simple informality that looks back to the spirit the Andersons brought to the site in the Great Depression. These homes have an interesting mix of vertical and horizontal siding. 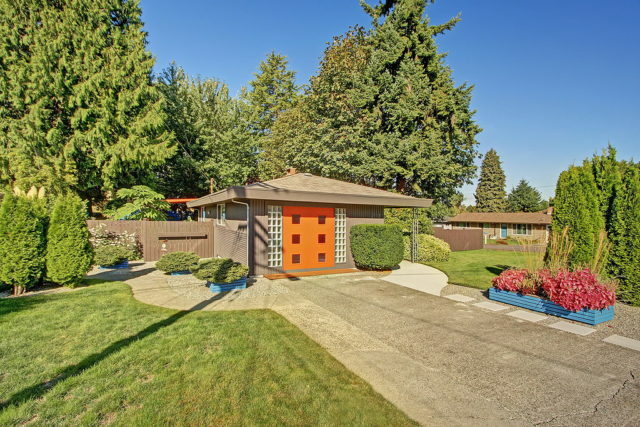 It’s important to do research when choosing house siding for your home!this group of homes is currently for sale in the West Seattle area in the $800K price range. Please contact Marlow@SeattleDreamHomes.com for availability. Space.City is an independent not for profit organization dedicated to spirited public discussion of art, architecture, urbanism and cultural issues in the spatial arts. Organized by a handful of volunteers and registered as a not-for-profit organization, Space.City is an independent architectural group. The focus and purpose is to inspire a dialogue among architects, artists, and others involved in the culture of the city. 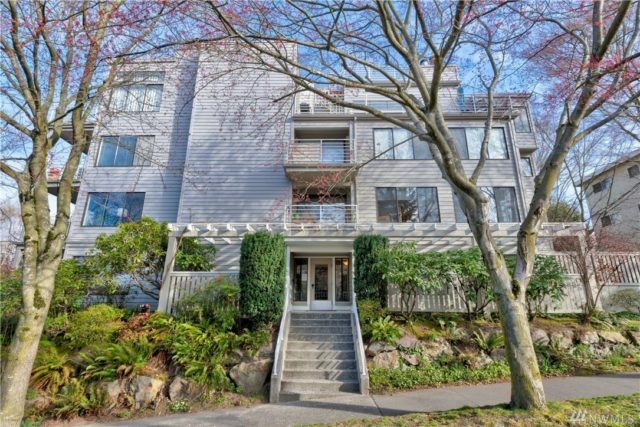 Would you like to see a Virtual Tour of Capitol Hill? Click HERE to view the Capitol Hill Architecture/Art Online Tour. Architect-designed spaces, artist’s home & studios and more. All photos were taken by Marlow Harris, unless otherwise indicated. More photos and information are being added to this section. For more information about anything you see here or questions or comments about the website or about real estate in general, please give me a call! Questions? Comments? Information about Seattle Personal Injury? Give us a call!